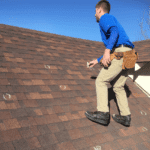 Get a Free Certified Roof Inspection and Estimate! Welcome to New Roof Plus, Englewood CO! We are a local Englewood roofing company. We serve the entire Englewood area including Cherry Hills Village, Greenwood Village, and other surrounding towns. Our motto is “Building New Roofs and Relationships” and we work hard to do that every day with every customer. Read our reviews to see what others say about us. We install new roofs on homes and commercial buildings. The recent hail storms across Colorado, the Denver metro area and right here around Englewood were intense and in some neighborhoods, very destructive to thousands of roofs. We are working every day with our customers who were impacted to help them return their roofs and homes to normal as soon as possible. We are a homegrown Colorado roofing and exterior restoration company, serving the entire Front Range from Englewood to Colorado Springs, from Denver to Fort Collins and all points in between. We work on roofs of all kinds – from residential roofing with normal to steep pitch elaborate designs to commercial buildings with complex to simple flat roof systems. If you need a new roof or just need to start with a roof inspection, we are certified at the highest levels in the roofing industry to find and assess any damage. Our teams have seen it all and have years of experience and knowledge to execute a perfect roof installation. If using the best Englewood roofing company is important to you, we are a great choice. We serve Englewood plus Cherry Hills Village, Greenwood Village, and all surrounding neighborhoods. Our mission as a roofing and exterior restoration company is to fundamentally change the relationship and experience customers have when dealing with a roofing or exterior insurance claim. So many roofing companies make the insurance company out to be the bad guy but we feel otherwise. We have many very strong and long term relationships with insurance agents across the state. All of these agents want their customer (you) to have a good experience in getting your home restored to its previous pre-storm health. We feel that when we work together in a positive cooperative relationship, our customer (you) gets treated very well and with the utmost care and insurance coverage available. New Roof Plus Managing Partner Greg Jones is certified as a Haag Certified Residential Roofs Inspector. 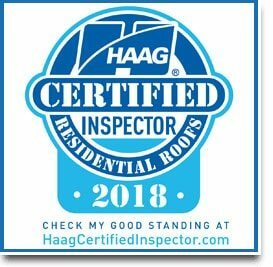 Haag Certification tells you, the home or building owner, that this person is highly experienced and has fine-tuned their ability to find damage where it exists. 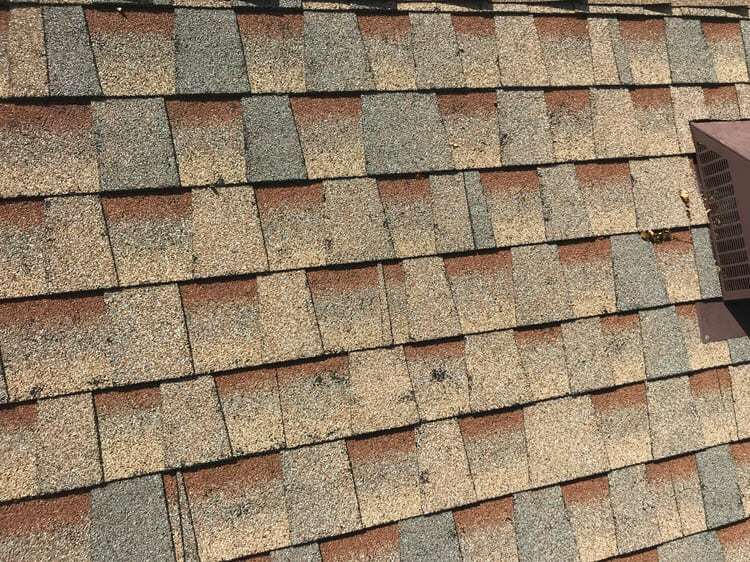 New Roof Plus offers this inspection service at no cost (free) to the homeowner. Greg will inspect your roof and give you a detailed analysis of its condition. Should your roof have sustained damage from a storm or other influence, he will give you the information you may need to proceed with an insurance claim. Haag Certifications are rare in the Englewood roofing market and they are even rarer when including the entire state of Colorado. Taking the initiative to continually learn and become the best in the business is what Greg and the New Roof Plus team are all about. We are building the best roofs and the best relationships one customer at a time. We hope to build a relationship (and maybe a roof) with you too! Being a locally based Englewood Colorado roofing company we believe in doing the right thing, being honest and fair. We believe in integrity and “The Golden Rule”. We are building New Roof Plus one customer at a time with the hope that your experience is excellent and it will lead you to recommend us to family members and friends. We always seek feedback to learn how we can improve our customer experience. The world has changed and consumer experiences are easy to share – good or bad. But we want to know how we are doing and seek to always do better. Metal roofing in Englewood can be seen on commercial buildings as well as some of the new construction of residential homes throughout Englewood. Metal roofing can look amazing and add curb appeal to multi-family structures as well. As Englewood changes and old homes are razed with new modern homes replacing them, you see metal roofing be added to all or parts of the roofing system. The benefits of metal roofing are many. It’s very durable and handles our intense weather conditions very well. We don’t get a lot of rusting issues in Colorado so it’s a long term solution as well. Manufacturers of metal roofing options have expanded as well. There is standing seam metal roofing, which is the traditional look you see on many mountain homes. There is also a product called stone coated steel that appears more like tile but is actually mostly metal – so it can be touted as “hail proof”. The choices, colors and applications offer architects and designers many new ways to incorporate metal into a structure. If metal roofing is something you are considering for your Englewood home or building, give us a call and we can discuss some ideas. To name a few, we work with the following insurance companies: Allstate, Farmers Insurance, Amica Insurance, USAA Property and Casualty, MetLife, Nationwide Mutual, Hartford Financial, Liberty, Travelers, State Farm, American Family, Chubb, Pure Insurance and more… If your insurance company is not listed contact us to find out how we can help. We look forward to being your go-to roofing contractor in Englewood, CO, Cherry Hills Village, Greenwood Village, and surrounding towns.